Handled with Care: From the Shirtwaist Fire to Sustainable Style — Anna Akbari, Ph.D.
March 25, 2011 marked the 100th anniversary of the Triangle Shirtwaist Factory fire, one of America’s landmark industrial disasters, which killed 146 garment workers, most of whom were young immigrant women. As the city and its firefighters (with hoses that only reached six stories) watched women and teenagers jumping from the burning building, important resolutions about worker protection laws and building safety were also igniting. One of the responses to the fire was a 54-hour work-week for women and child workers, which at the time, was a step in the right direction. 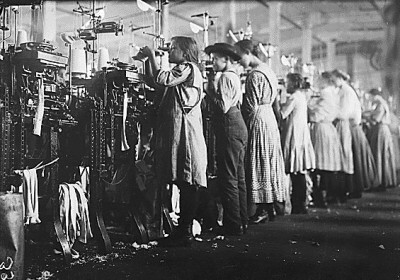 Thankfully, the shirtwaist still lives on, as does our capacity to follow Jefferson’s advice on guiding principles – integrating ethics with clothing production, and social justice with style. This “Philanthropist Briefcase” from Apolis uses cotton grown, milled, woven and dyed in Uganda, by four formerly displaced local farmers, in an effort to rebuild Uganda’s cotton industry through reemployment, rather than charity. Apolis, translated as “global citizen,” is a Certified B Corporation, which means they comply with higher standards of social and environmental performance, transparency, and accountability. 60% of their products are from local, LA-Based manufacturers, and the rest is from cooperatives in Uganda, Peru, Bangladesh, and Nepal. The second best thing to shopping the streets of Mexico is buying fairly-traded artisan crafts from home. 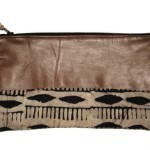 aMano’s fair-trade accessories are hand-woven by over 150 Mayan Quiche women in Guatemala, Mexico and Thailand. 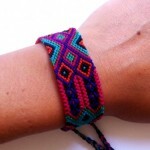 These friendship bracelets are handmade in eastern Mexico and traditionally symbolize love and loyalty. 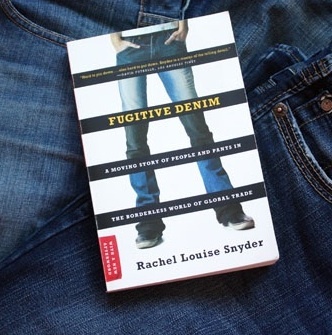 If you’ve contributed your fair share to the denim market, one way you can become a more conscientious shareholder is by reading this book by Rachel Louise Snyder, which follows the life of a pair of jeans from cotton field to retailer, and was named one of the best business books of the year by The Library Journal in 2007. Inedgo Africa is an award-winning nonprofit which partners with more than 400 women artisans in Rwanda, and works with major brands like J. Crew and Nicole Miller. The leather on this Batik Clutch was sourced locally in Rwanda, and comes with a tag signed by the seamstress who made it. 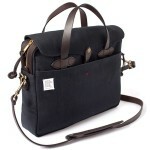 What are your favorite sustainable brands? We want to hear about them!